Conducting a business has been relatively made easier with the advent of the social media. Bygone are the stiff option of spending a lot of money in order to advertise via traditional methods. But while you can still opt to spend on social media to market your business with startling results, blindly tapping on this platform will not guarantee you better results unless you know what social media marketing was about. Believe it or not, your effort of trying to reach a wider audience via social media will go long ways by knowing the underlying mechanics about it than merely dumping wads of cash in the hopes of growing your business as a result. The social media offers enough flexibility that could enable any user to do many things at it, particularly for business. But without specific goals, the social media makes for a very vast terrain which forks at every direction and not reach a specific destination. While you could come up with a myriad of goals in line with the purposes listed above, it is suggested that you focus only on two primary and two secondary goals. Again, trying to do everything at once is like heading at every direction which the platform gives you, only to end up lost and not reaching your goal. You do not want that. You may already have your goals to go for, but if you do not have an end-point for each, you will never know if you are achieving your goals. If you want to make your goals to be as attainable as possible—and thus, more realistic—you have to set some parameters that make them so. For instance, if one of your main goal is to generate enough sales to keep your business afloat and growing, set a specific amount of revenue to target, whether the numbers are high or low. That way you would have a way of knowing that you are meeting your target goal or not. Ideally, you would know if your objective is proper when it meets the standards of the so-called SMART approach which is an acronym for specific, measurable, achievable, relevant, and time-bound. If your business is struggling in making engagements, the chance is good that you do not have a specific type of consumers in mind as the ideal consumers. Even when your line of business is aimed at the general public, you should still be finding a commonality among your buyers based on certain demographic data. This method may require a bit of statistical data gathering, but this is the most efficient way of knowing who your real consumers are among the larger population. Knowing so, you could easily adapt by pivoting your business strategy towards your target consumers. Unless the products or services you are selling is one-of-a-kind, which no other knows of, expect to have some competition in the line of business you are trying to profit from. Knowing this, research a handful of companies that are offering the same products or services as your business do. Call it business spying, but one effective way of standing out from the rivalry is to offer an overall better quality of products or services that your competitors cannot. 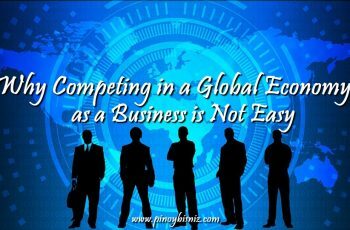 Primarily, you would only this by knowing how the competition fares against your business. Essentially, what this move calls is for you to keep up-to-date with the competition and try as you might to do better at what your rival companies are doing. There are literally tens or hundreds of social media platforms out there, each of which catering to overlapping or unique demographics and purposes. While you can put the effort and have your business exposure in all of them, not all of these platforms may offer the same quality of results as another. For instance, you may get better engagement when you are marketing using Facebook but may not be the same case with Twitter given the demographics of your target clients. While you may try to even things out and push more marketing with Twitter to the level that of Facebook, sometimes the effort may not be worth it in the end. Instead of trying to get more well-rounded with your approach, just focus on those channels which provide your favorable results and ditch those which are only wasting your precious time. The social media may be a place of trivial things such as a repository of a person’s random rants and useless pictures. But the good aspect of the social media is also a thriving source of good contents, too. If you want your business to be taken seriously, you would need to attract your target clients’ attention by providing them quality contents. In conjunction, do not neglect of other factors that will make your posts effective in its intended purposes such as time of its posting and the frequency by which they were rolled out. Remember, much like everything that is profitable on the internet, quality content is king! The use of the social media may be free for the most part but, if you are using it as a marketing platform, you would need to spend a little bit to make your approach go a long way. Apart from the platform itself, you would also need other tools or manpower that themselves might require some costs to acquire or use. While you may be capable enough on your own to handle the marketing of your business using the social media, but there are evidently more benefits in having more manpower with this goal. Whether it is about having someone dedicate his time in providing quality contents for your social media page or one to handle customer inquiries via the platform, there are plenty of roles which other people could fill to make your business boom. Making a successful social media strategy should be based on realistic matrics such as engagement, follower count and traffic one bring to the website. Most of the analyzers look at just the traffic and conversions while most important factors of social media should be traffic and online engagement. This is a great post at any stage of business, sometimes as we get experience we move away from the for mainstream social media looking fro bigger and better! Growing to the needs of your existing customer, will also help with the #1 way to grow your business way before the internet, word of mouth advertising, which today is called “Social Media! Thank you for all the info! Your sight inspires me in my business! As I will be venturing into a business that involves technology, first it is really important to identify the obejctive of the business and who are the target market to efficiently and effectively be able to use the social media. For example, facebook, you can post some business advertisements and promotional to different present groups. With this you will be able yo reach your target market. Facebook nowadays is very known even to gradeschool kids. For my resort business, facebook is the best way to use in promoting my business. Kids are already familiar with facebook and they are my number one target client, if they see my resort in facebook they will encourage their parents to try the new resort. And to adults im sure they will love the view. Being an online shopper myself, I can say that Instagram and Facebook are the best and most effective social media platforms to market a business. You can reach a wider range of consumers with just posting your product’s picture on IG and FB. Having these two social media accounts is necessary for a business. Why? Because I know a lot people who have FB accounts but not an IG account and vice-versa. I know a few that are active in IG, but their FB accounts are deactivated, and I know some who have both, but are more active in FB. When you post a picture on IG, you have the option to share it on your FB page as well, with just one click. That way, more people get to see the products you are selling and the services you are offering. It’s like hitting two birds with one stone. The best social media platform to be used in the business that I thinking to make my marketing olan is Facebook. Since social media nowadays are very influential not just to the millennials but to the old ones I think it is effective to use in business planning. It is one of the best strategy we can input to our business for it reaches people anywhere in the world. By that it will help the business to be more notable to the people. However we should keep in mind that social media can be crucial at times, let us be aware on how to really improve our business by being true and consistent to our goals and to the target market. One of the best social media platforms best to use for business is creating Facebook page using the product name. We all know that through Facebook,it is easy to make commitments, to show product’s authenticity,to listen to customer’s suggestions rather than promote and to upload photo and video marketing. Facebook is still relevant and is still the number one platform to use for any businesses. First is that customer statements regarding the products could be disseminated easily across their peers; enabling the customer advocacy kind of marketing to take place. Second, Facebook is business-friendly. It provides Content Creator Options, Customer Relationship Management and Target Marketing through their records of users’ interests, and other options they offer to online businesses. According to research , Facebook is the most utilized social media platform in the Philippines and I bet this would be the most effective way to spread good or bad feedback about a business’ products and services. Facebook also has a linked chat option for easier way to communicate (FB messenger) which is commonly used by everybody for exchanging messages, pictures, videos and other stuff real time and with urgency and is very manageable and user friendly. The best use of social media platform for Construction Firm Industry is to assign a dedicated personnel to do the job who knows how to generate some ideas that are capable enough to handle marketing strategy business using social media that would enhance the content to achieve goals, observe time, and effort by providing the quality work accomplish that would allow us to grow and recognize more by doing good services, specialized in Project Management which tend to organize group of professional to serve and cater to the growing needs for construction services, bringing the value of quality, business integrity and customer satisfaction to the service and operation that can be provide. In choosing social media, you need to learn what platforms you are going to use and know how to make content on the platform. Also, check the demographics of the platform. Facebook and Instagram are one of the easiest social media platforms up to date. I would create a page in all possible social media sites and applications. I will make sure that everyone can see everything on those pages. Everything about my company to goals,mission and vision. I will also make sure that everything at it is up to date. And that my page visitors and customera will have their way of communicating to us directly from there. I will also assign somebody to addreas all inquires as real time as possible. I will.make sure that new atuff may it be new product, improvement on the current one, satisfied customera, etc are being posted on my page too. Putting up a business is always accompanied with challenges. As a beginner and planning to put up a small business it is really a Big help for me to know these 8 Important Factors. Applying these factors helps me a lot in boosting my ideas about my knowledge and understanding in making my business. I know it’s difficult from the beginning but with this article it help me realize nothing is impossible to achieve my goal in setting up a business and become a successful entreprenuer someday. Considering that my business is under the umbrella of the Food industry and My target market are Call center agents. I think the best social media platform that I can use are Facebook and Instagram. Most of the call center agents are tech savvy and has social media accounts, it would be easier for me to market my product. Social media is one of the most important source in businesses today because you can post the information about what you are selling. It actually help the new buyers to locate if they don’t know where is your location. They can also see if there is a sale and this is the best way to promote your products. Social media platforms are all unique and moving into different ways but for me I would prefer to find the proper channels for marketing. Finding proper channels is the best for me because you may focus on your target clients without any objections. All of the people here is merely looking or finding out throughout of the internet. This will eventually provide you a fast and favorable outcome for the business because as what I know more and more people were engage in the new technology. In running a business, promoting it is one way to be more known and catch the attention of all possible customers. In conducting a marketing plan the most important thing for me is knowing who and what your target market is – in that way, everything else will just follow. Basing on my current 2 year-old business the only promotion procedure I do to be known is through social medias like Instagram and Facebook. We also use public billboards. Now that I have seen this article it made me eager in doing some more research on other social media platforms I can use to widely promote my business. The business that I have chosen to create a marketing plan is a dress chicken factory and delivery. and with this, the social media platform I deem proper and feasible for this kind of business is Facebook, because the priority are local customers and clientele. Facebook has a good way of reaching my personal friends, to the mutual ones we share, to my acquaintances through them and even their personal friends that I have yet to meet or are total strangers to me. I can use their “boost” option to extend the reach of my posts and advertisements to the local market vendors, restaurateurs, poultry owners and to the majority of the F&B kind of business. Nowadays, There are diffirent types of social medias that you can use for your business’ exposures. Hence, this can be an effective way to help your business to grow in the future. For me i would use the one that people used often and that is FACEBOOK. Facebook is easy to spread out your business’ datails, at the same time you can you can post videos and photos of your products. Facebook gives you more convenience to communicate with your customer or vise versa. Over all, I chose Facebook as my social media platform as this could help me a lot for my business. The only Social Media platform I am thinking of using is Facebook. 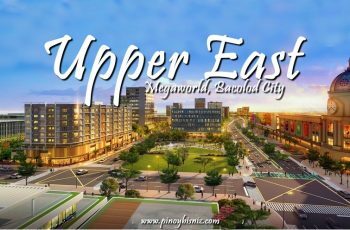 The business that I plan to use for my marketing plan is the 100 peso below online store, so I am targeting a large based of what they call “pang masa” audience, and I know I can all find them on Facebook, since we cannot deny that everyone is on Facebook now. I can also take advantage of the marketplace tab that will help me market my items. Now a days there are lots of ways on how to make your business known to other people especially with the help of social media. The best social media platform that can be used in promoting your business is the facebook, which we all know that all man in this planet has a facebook account. But promoting in facebook, one should be responsible enough to be accountable in all its actions. And with the use of facebook you should be careful and only limit your self to all the informations you are giving. Connect the goals and objectives of the business in the facebook page, like the theme or motif of the business. Make the page eye catchy to attract target customers then make sure that one person is in control of all the things in order to meet the desired goals and objectives of the company. According to statistics, there are over 2.27 billion monthly active Facebook users for Q3 2018 worldwide. It epitomizes a vast potential market for social media and I will use Facebook as one of my social medium platform for my Cansi House business. Social media nowadays is the easiest way to promote one’s business to be known and be recognized in a short period of time.posting my business on facebook is a way of promoting business to friends and soon to be customers. One of the most common social media platform to be used is facebook where friends, family and business associates are connected. It is a great way to build a relationship with customers and it is the only one way to promote your product to be known in market. Social media is very useful now a days. For me promoting with different strategies of a Business on a Social Media may classified and have advantage from others who used common and not logistics ideas. Using media is one way of marketing. It can help people to recognized and understand what are the products you offer, the best way to be known in society. You can also make your own website ,share on your freinds to become more trends and continuously discover and follow by other people in different places . The best social media platform that best fits our business is Facebook. With the help of sharing and inviting my friends and my friend’s friend liking our page will help our business be known. Customers may also order through Facebook and we can also market our product “organic mushroom” through this platform. However, having this page in Facebook takes a lot of effort in maintaining and updating. Now a days technology have became a very important aspect of everybody’s life. These are the things we are using in our today’s life like cellphones,computers and laptops. This is the one way to promote your business like the social media platform such as Instagram. A fun photography apps that’s sweeping around the globe,stylize and share the photo with others in your net. For me the best social media platform that I will use to promote my future business is YOUTUBE because youtube keep it’s videos short and sweet. Since social media is dominating the world today, it plays a very important role when putting up a business. Creating a page on each of these platforms will definitely help you strengthen your brand. These types of platforms are the best ways for you to advertise your business. Facebook is one of the most powerful social media. Advertising your brand on this platform will help people recognize your business easily. I wish as a small one woman band that I had time for all these things, but I agree they’re super important. Very useful information, marketing my blog is my biggest challenge as I have a full-time job on top of it. You gave me a little focus on an are where I need to set some more specific and concrete goals…namely, social media engagement. Thanks for the insight! Great template for beginners in this scene! People need to print this out and refer to it every time they want to come up with a plan to SELL! For me it depend on how you promote your business realistically. Social media is part of your Marketing Strategy where it act as a channel for business exposure for spreading out information, With this also it can help you save money , manpower, and resources.But for me, if you really want to achieve your goals on how to make your business more successful and stand out from other, you need to set plan and strategies like you have to make your product and services more unique and unpaired from others.Quality of the product is really important, it is the way where you will be remembered by your customer.Having a good attitudes of employees helps your business promotes through the way how they handle your customers right by providing good service to them. Posting on social media on a daily basis is only one way of letting the market know about the business. Relying on social media is not enough for a business to sustain its identity. Not all information you are posting in social media would be seen by other people since social media admins are also controlling the flow of activities happening in a day. That means, not all posts can be seen by everybody. It is better to have a Plan B in promoting your business. Aside from social media, there are other media of marketing strategies that can be applied in order for the business to continue. Nowadays people are focusing about using social media for their business, its good actually, it really helps alot you can sell anything through online, to properties, to beauty products, to animals, etc. example facebook you can advertise your business there all the details about your business what you offer to sale, but only for those people who knows how to use facebook, much better if you also go for traditional style like advertise using flyers or tarps so the public will notice about your business without using internet. Posting on the web or online is one of the viable technique in internet based life in showcasing to build the attention to customers particularly for small private ventures that can’t manage the cost of a lavish marketing budget for them to promote a product/service to be known in market. In this manner, connecting a more extensive group of audience will increase the sales of the business. Nonetheless, there are bounty and valuable advertising strategies in augmenting web-based social networking aside from every day posting that will eat our time and commitment sitting on the table thinking what to be post straightaway, and to give some examples were the Testimony of Glad Customers Experience doing business with us ( by enabling them to share their encounters on their social channels); Tagging Related Individuals in our web based life post (to call the consideration of the social profile on the post); Online Challenge/Contest for social sharing (by enabling members to share the substance post by the management and offering own product or services as prizes); and Partners and Contractual Worker’s Power Support (this individuals will work day by day and become devoted ambassadors in building our business image through internet posting if we build a meaningful relationship to them. Bottom-line, Posting is Good but maximizing my other resources to make it easier is more better. In Responding for the new patterns in marketing is by completing a decent business marketing methodology which encourages us characterizing our vision and mission in business including the impact and effect of products/services by expecting to Acquire new client; Keeping up existing customers; Present new arrangement of items or services; Expanding market share; Setting up business brand; and Enhance client loyalty through executing paid ad to connect in market; Word of Mouth; Relationship Marketing or Customer Relationship Management (CRM) that give centers around costumers unwavering and long haul client commitment as opposed to shorter-term objectives like customer acquisition; and even Web based Promoting such as online marketing is possible. 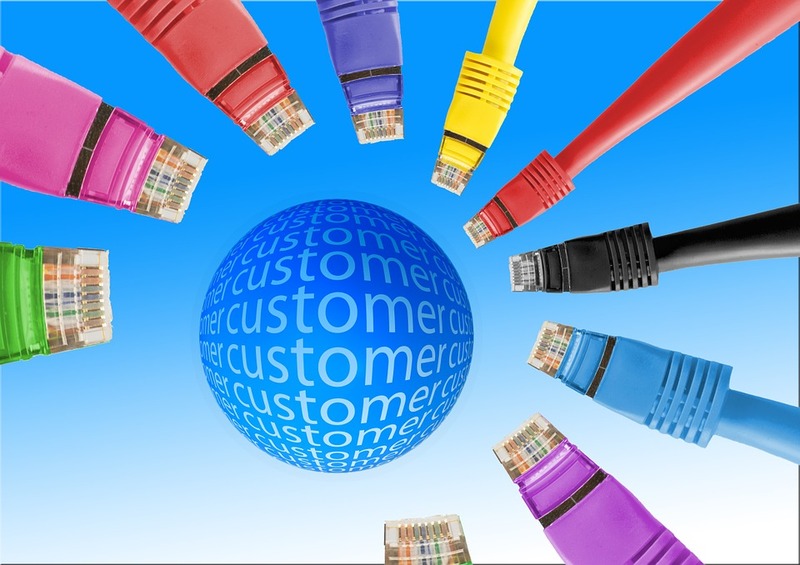 Therefore, Customer and Consumer’s needs and wants in terms of Cost,Convenient and Communication is one of my consideration in reacting for the new patterns in business especially in a stiff competition now a days. There are 7 components of a marketing mix namely: product, people, place, price, promotion, packaging, and process. It means, all of this must function well in order to achieve a successful marketing strategy. One of the 7Ps is the promotion, and one of it is through the social media. Posting daily on facebook or in instagram or in any social media site or applications isn’t enough. There are still prospect clients who doesn’t have an account on this media which means, there are still suppose to be clients who are not yet aware of your product or service. The traditional promotion such as the face-to-face promotion is much more effective than social media promotion because there is a facial expression, body language, and tone of voice that enhances and clears the communication. The elements of social media marketing in the above article are very informative and helpful. In this technology-driven marketing trend, social media is a go-to platform for advertising; it is inexpensive, user-friendly and accessible to many. It is interactive in a way that you can directly get feedback from your target market. But depending solely on marketing a business through social media, in my point of view is somewhat not advantageous. It is because it can help or destroy a company depending on what feedback the market will give. 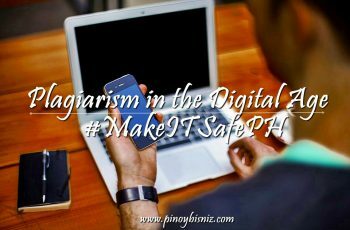 And nowadays, people can easily create fake accounts, and social media is prone to trolls and hackers that can easily tarnish a brand. Knowing the right strategy and posting appropriate marketing contents which only be suitable for your market will keep you on the long run, but still in my own opinion, integrating the conventional way of marketing is helpful. If I have a business, I will not limit my campaign to only one channel. I will take advantage of every possible effective and efficient way to promote my product. 	Therefore posting your business in social media had to be measurable and attainable in ways that we can provoked the circumstances that we need to be updated in the opinions and advice for those of expertise. This could be relatable that we can be assured the security on our business as well as to be the basis for posting the products we market to our customer. We believe that the needs of the customer are always to be our top priorities in which we will value the qualifiable progressions on our business also. This is also a relationship of giving the needs of our customer and the taking granted to endure the development of our business. It depends on the aspects of business. It may be vary on the target market or the kind of business your into. Small business depends on social media to lessen their budget and it may be the way they can reach to their potential customers such as online shops. Big business, however, would allocate a budget to spend on different marketing strategies. Younger generations or “the millennials” would usually prefer to visit and shop onlines. Online shops would market their product through social media. It is the way they communicate to their potential buyers. When the target market would be the the older generations they were opt to traditional marketing through newspaper ads or flyers. They are not equipped to technology compare to today’s generation. Either way, social media is indeed helpful to business but there’s also another ways to market it such as printing press or even as sponsoring an event. Reaching out to “real” people can gain trust to the business and it shows that they exert effort promoting their business. Posting on facebook or instagram could help in promoting business but it is really not enough. Some other establishments cannot afford to introduce their business through social media like advertisement on television and radios. All they can do is of course to post it on facebook or instagram. But the problem is not all people have the access of internet, recommendation from people is more often useful rather than posting it on the internet because pictures might not be exactly what it looks like that may lead into dissatisfaction and disappointment. We have that thing called ‘expectation versus reality’ that mostly happen nowadays, while hearing from people that already experienced, tested and proven, well it is more likely real and trusted. Basically posting on social media is a great tool in marketing and advertising your products specifically in today’s age that digital world is a easily reached out by the majority,however for me this is not enough in giving out information about your business. 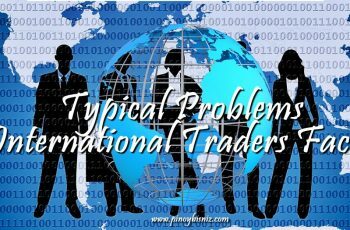 I think as business owner, I had to identify first who are my major market and the type of product and service I offer. Like if im into hotel business,yes posting to social medias will help me showcase my facilities and amenities but not the warmth and hospitality services that my business could offer to our guests.Thus, traditional marketing still comes in,through ensuring guest satisfaction im this case. We still need to go back to the traditional form of marketing especially those who can be reached by social media.I believe that even how modern we are, we still look for people(marketing team) who can best describe or guarantee about certain product thru personal interaction. Beacuse through this we can feel how sincere they are through their gestures when you talk to them personally,as they say “personnal touch”..
Basically posting on social media is a great tool in marketing and advertising your products specifically in today’s age that digital world is a platform of communication easily reached out by the majority,however for me this is not enough in giving out information about your business. Therefore posting your business in social media had to be measurable and attainable in ways that we can be provoked the circumstances that we need to be updated in the opinions and advice for those of expertise. This could be relatable that we can be assured the security on our business as well as to be the basis for posting the products we market to our customer. We believe that the needs of the customer are always to be our top priorities in which we will value the qualifiable progressions on our business also. This is also a relationship of giving the needs of our customer and the taking granted to endure the development of our business. Social media as a channel of marketing is a great addition for advertising strategy. It is a good use of technology for those who have limited source of promotion and considering budgeted expenditure. But posting on social media alone wouldn’t be as effective as some would think it is. Some audiences would rather choose to click the skip button if they are given the chance, unless the merchandiser paid well for the display of their infomercial. Also, last January, facebook begun to limit business posts in the news feed. Other major social media platforms may also follow after facebook’s pursuit. If a business relies solely on social media for driving in traffic, they most likely be dead in the water. Combination of both aspects –“Digital Marketing and Traditional Marketing” will be best for sales growth and visibility boost since traditional marketing has been proven effective over the years. Customer experience and emotional involvement from this strategy creates an impact and encourages loyalty and satisfaction. Nonetheless, the world is changing and so are the trends in business, might as well plan many options of strategy or you wont survive. I believe that it depends on what business I am in and who are my target market. If I have a business that is for old people then it is not enough or should I say not ideal. Most of old people don’t use Facebook and Instagram. If I post about my business in those social media sites then nothing will happen. Maybe their children or grand children who are always in that sites will tell them about my business and the product that I offer but that is not enough to convince them. Old people wants to see or even hear it personally. So I would prefer doing the marketing or promoting my business through radio and TV stations where they are always present. If my target market are young people, then yes, posting in Facebook and Instagram everyday is enough in order for them to notice my business especially the products that I am selling. As we all know, young people are always on Facebook and Instagram. With just one click of share button, many people will be aware of my business. It will really help me and my business gain popularity. Using social media(s) as a platform for your business is utterly exhausting at times. According to this blog post I’m around step 5. I feel as though technology and the algorithms change on a daily basis. Progress. Using social media for any type of business can look easy to stabilize and there are only few redevelopment to follow as its grows,but there are also certain factors to consider if you really want to make it bigger than how it is on the present time. 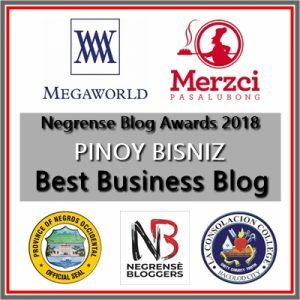 this article is very important for the business planning.how to know to handle your business and inhance your ability to manage your own business.we thankful for this article specially on the marketers like us. Couldn’t agree more on the objectives on setting up a business and who’s your target market. The article helps a lot not just SME’s small medium enterprises but as well as field operations eg. sales, marketing, business development officers, even product managers. Indeed it gives a lot of ideas and thinking to them on what marketing strategies they have to plan and lay-out. There are a lot of ways on how to market your products/services on the social media platform, the only concern is if you have enough manpower to do it. I fully agree on No. 8 to have a personnel assigned like the social media specialist/digital marketing speciaist/content specialist to work on the load. These factors are really big help in todays marketing side. It gives you an idea on how to keep your products/services top of the line, branding, and on how to be always ahead of your competitors. No wonder why other companies hire specialists for social media platform. I appreciate the suggestions and ideas that this article has given me about how to make effective marketing through social media and even some tips on how to make my objective clear to set goals, which clearly can also help me distinguish which social media works for me. There are broad area in social medias and it ia important that before diving into it , I should know the key points and this article says a lot about setting the point and goal. Esp that social media can be either used to make or break. This article helps a lot when planning and building a business, the said strategies or a guide in a social media marketing. There’s a wealth of information on this article- seeds of ideas that will help marketers win the field of social media. I like how the old, golden but effective principles of “SMART” Planning and Objective Formulation still play vital roles in making your Social Media Marketing endeavors a success. Need I say more? Just wow! After reading this gives me more confidence that if i use it in starting my business i would be successful. Thanks for writing this article. They say that the great teacher is experience. That is true but it would be great as well to have a guide or a check list for it to have more chance of being a success! Nice article! Hoping for more articles that could help newbies just like me in this type of venture. This is a great article. 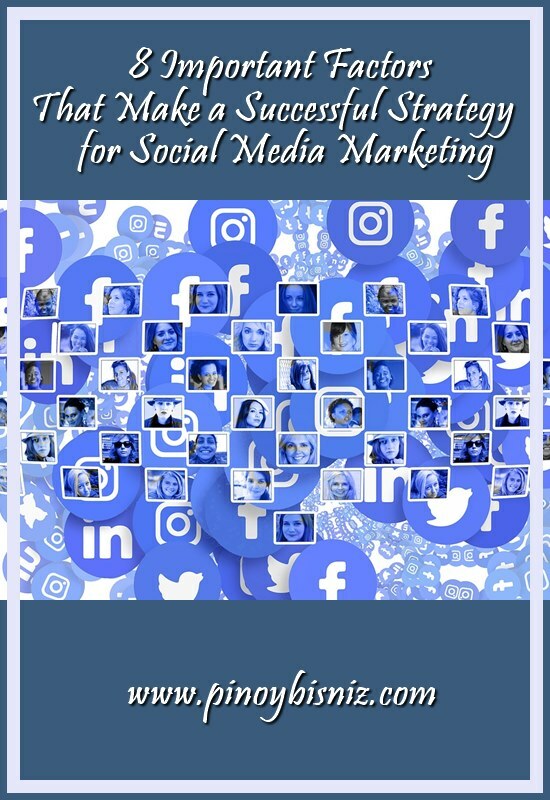 It’s a good read for entrepreneurs who are just starting up and want to know the fundamental building blocks to penetrating the social media market. The fact that it focuses more on social media is a plus since social media is one of the easiest and fastest way to introduce your business, as it has an almost infinite market potential and the widest reach. People say that being good in sales is an innate virtue, like people who are good in sales are born with that skill. Perhaps it’s because there are really people who are charmers. They attract attention and business confidence. However, this doesn’t mean that only people who are born salesman has a place in marketing industry. My marketing professor keeps on saying that marketing is a science that really needs to be given utmost diligence studying. Thank you very much to this article which highlighted the eight (8) key-strategies in marketing. As a neophyte, I really find these techniques helpful in getting a close. Kudos to the author. You got a fan in me here. I’ll watch out for more of related posts in this blog. Way to go! Being able to know these 8 important factors really helps me a lot as a beginner in marketing business. It greatly expand and explores my thought for making strategies good for making a business. Though it is difficult from the beginning, but in the near future we can achieve it through effort, dedication and your love for work. Thank you for presenting this article, it really helps me a lot about my understanding and knowledge in making a business. 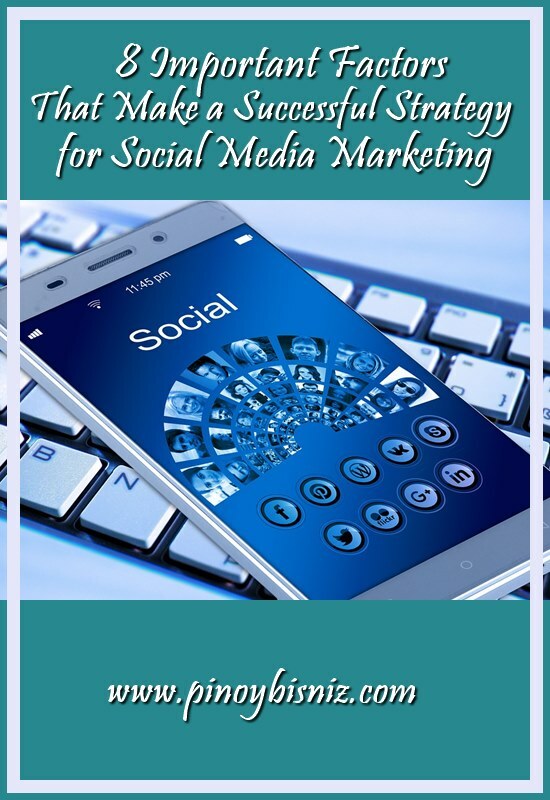 A good read and a great help not only to young or inexperienced people planning to put up a business, but also to entrepreneurs urging to dive in to the world of marketing with the use of the social web. Especially now, that social media has become a necessity to most businesses. 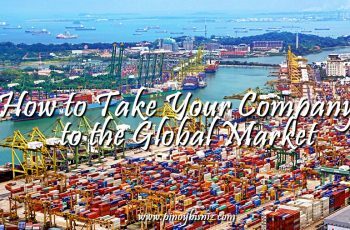 Though this is not as simple as it sounds (As stated on on Number 5), you will have to select the proper and the best channel where you can market your product. As this would take a bit of researching, we also need to consider about spending as well (Number 7). I’d say that social media is not just about exposing your business to the public, but it also teaches you on how to prepare. Social media is a great platform to spread words for business.Knowing the important factors to be considered in social media marketing is an advantage among the others, which we can use to have an affirmative outcome to build a strong backbone in social media marketing.hence, these factors is useful but always consider the pros and cons in any instances. Social media is a great platform to spread words for business.Knowing the important factors to be considered in social media marketing is an advantage among the others, which we can use to have an affirmative outcome to build a strong backbone in social media marketing. This article is very informative and helpful in having a business. Every business or company needs to have a marketing strategy. It’s like a competition needs to have a strategy on how will you win. In business you’re spending time, money and effort. You’re not creating a business without gaining any profit/income on it. Nowadays, we all know in business we need to adopt changes. One example is with the use of technology like computers and social media. It can be used as one of the marketing strategy on how you can market your business to anybody. In just one access on the internet/social media sites you can inform millions of customers, suppliers and even investors. So that it can help your business grow. With the use of social media sites you can advertise your business without spending too much money. As a student at the same time an entrepreneur I’m very much thankful with these ideas. I knew that these could help me a lot to make my little business a successful one. Looking forward for more sales by following the inputs I had read. One of the most important fields of practice that every business should have to consider is having the best strategy to cope with the advent of social media and technology. Indeed, the 8 important factors mentioned were very efficient and effective and effective social media marketing strategy. Once we have these elements, social media could be a great impact and help that would maximize the business potentials to be more productive, known and ethical. For future business ventures this will help a lot, by reading this will help you on how to run a business wisely and this will lead you to more success, i commend this post for giving the idea on how to become a successful entrepreneur. This is an amazing article for an entrepreneur who will open a business. As for me who will be planning to own or build a business, this is a great deal of information in making my business a success. No questions. It is a must read article. Very well said sir. This is an amazing article for an entrepreneurs who will open a business. As for me who will be planning to own or build a business, this is a great deal of information in making my business a success. No questions. It is a must read article. Very well said sir. Since everyone’s into social media, it’s a great idea to use it as part of the marketing strategy for your business. This article will really help you realize that it’s not just about posting nor creating your own page for your business, but it’s important to set your business goals and objectives to help you successfully connect with customers. I would say amazing post since it tells us on how to be effective and effecient of having businesses. It’s really helpful or useful like the SMART approach for running any kind business to make it successful after applying all strategies or approach. It motivates more the readers and student like as a Marketer.